Last year November 3 I joined Julie Lindsay and several other Global Educators as part of K12 Online Conference’s. I was part of a panel discussion around ideas presented in Julie Lindsay’s opening keynote presentation. The discussion was hosted on youtube and the audience were invited to comment and ask us questions. Before the session, Julie sent us questions of what she would raise so I created some notes for the session. 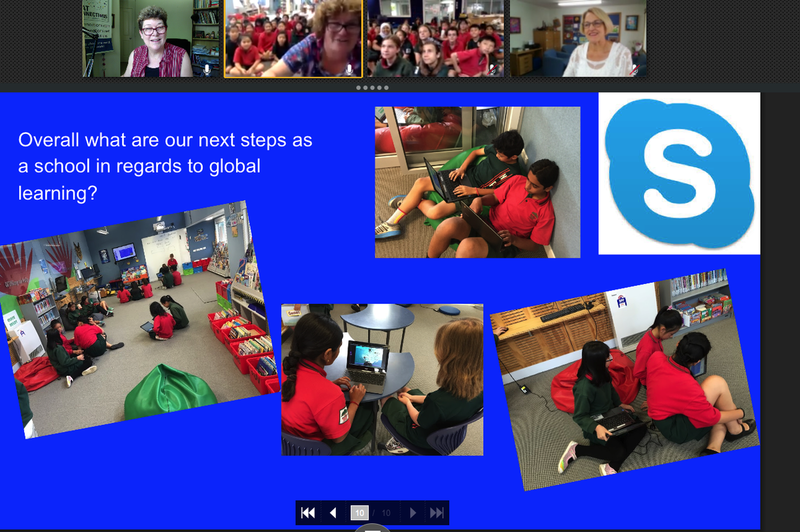 Why is online global collaboration important as a pedagogy? as a curriculum? For me it is glocalisation. Where I have taken what I have learnt with Julie and put a local context on it. Our classrooms at Newmarket School are already filled with a face to face of the world. I believe that global collaboration is important as a pedagogy because it exposes our teachers to the changing face of our classrooms. Making connections and collaborating supports our teachers and students as they develop empathies for their new friends. A classic example for us was when we worked with Lincoln School in Nepal with teachers Brian and Sudha. Our children in the project were worried about their new friends affected by the earthquake that they set up a project and raised money to support the earthquake appeal. Another example was using the skills I have learnt on Flat Connection and connected with our sister school in in our sister city of Ningbo China. 2. Do educators find the concept of global education and/or the practice of online global collaboration challenging? Why? Any suggestions to help them? Yes because initially I believe our teachers see online global collaboration challenging and as an add on to an already busy curriculum. However as I work with our teachers I support them in the journey to realise that it is should be part of what they do because we are preparing children for the now and future. I believe that if we can teach our children to develop empathy through working with children when they are young then maybe one day as world leaders they can make decisions that support peaceful initiatives in the world. 3. What is required for the design and management of online global collaboration? Can you provide examples? I have been part of online global collaboration since I was a child and my Canadian teacher set me up with a penpal. Then when I was a younger educator I was part of UNESCO’s peace project. You do not need flash wifi or the latest technology to make connections. Just the determination to make it work. For example whether it is via snailmail, email, skype, wechat and my latest favourite technology, a bit of bluetack to the television so that the iPad works as a camera. However the work I do and have done with Julie has allowed me to push the way I do things to a new level. One of this is the importance of values when online. The respect we show for others through the handshake, though developing connections like using a digital handshake, because without establishing connections, collaboration just does not work. 4. Can you share outcomes of global connections and collaborations that have changed or shifted the practice/approach/understanding of you or colleagues or students? Shifted in what way? My biggest personal shift in thinking is about construction. In 2015 I was approached to judge some of the digiteen co-constructed videos and blown away by the quality of what I saw. It takes longer to do this however the relationship building in the process is what I believe is the true learning. Last year I set up an online system to do the same thing with about 38 educators and I saw first hand that the product was just the tip of the iceberg. The relationship building through making connections and working together was the real learning. That was my ahhah moment. This year I have just joined a community of learners (CoL) as part of our Auckland Central 11 Schools. Again we have a massive achievement goal that we have set. I already see that making connections and relationship building across our schools is actually the key learning. Because many of our teachers have never experienced global collaboration as a pedagogy they continue to believe that face to face learning is somehow the only way. They have yet to experience face to face through technology. There appears to be a belief that somehow technology is a barrier to relationship building. I think of my own journey with Julie. For months I cyberstalked her work and then when an opportunity came to work with her in person, I jumped at the chance. But my real learning developed when I undertook her online course as an educator. Last year I brought in teachers and students to work with me. This year I am doing the same. But even more exciting is having convinced my principal to do this because to really shift a school in thinking we know that it takes a whole school approach. I can already see the results of this happening as we plan for next year. Collaboration is collective and is about the group succeeding not the individual. Hattie calls this effective teacher efficaey. We need to set up conditions and systems for collaborations. 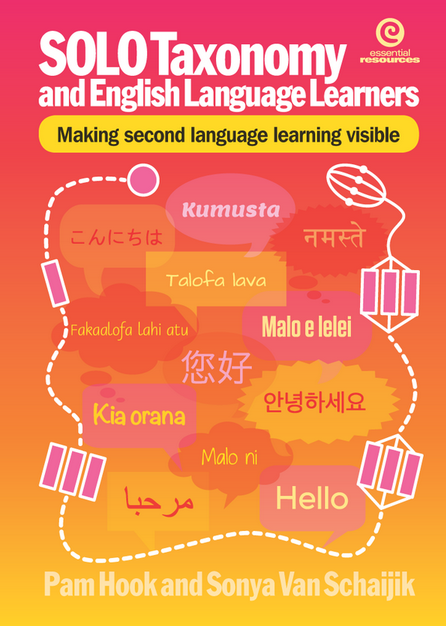 I am doing this right now with our Auckland Central Community of Schools (ACCoS) group. Opening up to the world we have to admit and anticipate the unexpected. This will go wrong and it is the thinking of how we deal with the challenges. What is it that we can know that we don’t know. Taking risks and making mistakes is valuable for learning. Perfection gets you nowhere. When I am encouraging teachers to take part in a global project I give them some idea of what they are in for. However that is never enough because they will really learn by doing. Being part of Flat Connections Week in the Life bring children and teachers together to work on a common issue. However the learning is really about working together to build wisdom and knowledge. Sow and create possibilities for future generations. I am speaking here about the generation that is online in the next hour, week, month and so forth. Create knowledge through relationships. We have been learning coaching skills as an ACCoS Across school leader and embedded in the professional learning is the importance of building relationships and everything we say and act with others must come from the human layer. I am passionate and curious to how far I can learn online with the teachers I work with. I am not focused on an endpoint because there never is one but I am focused to see how far we can go. As an aside you can read more about the work I do in Julies Book, The Global Educator.